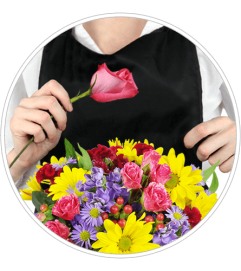 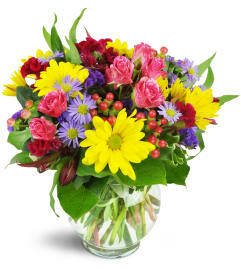 This stunning, colorful bouquet is the perfect way to send a revitalizing breath of fresh air to a friend, coworker, or anyone modern and creative! 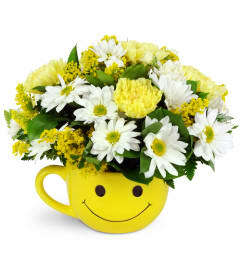 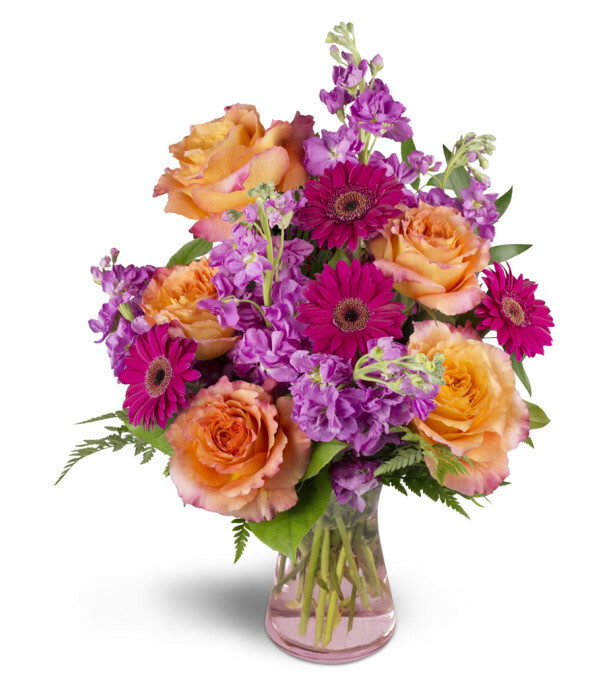 With its bright hues and cheerful, fragrant blooms, it's sure to invigorate the senses of your special someone. Featuring gorgeous orange roses, bright pink mini gerbera daisies, and more, this arrangement is a wonderful way to celebrate a birthday, anniversary, or any festive occasion!